Afterthought : I want to try the matcha ice cream! Ever being attracted to heaps of toppings that are displayed in a shop and then found out that if you want that it will cost you additional cost? Not in Floa Creamery! 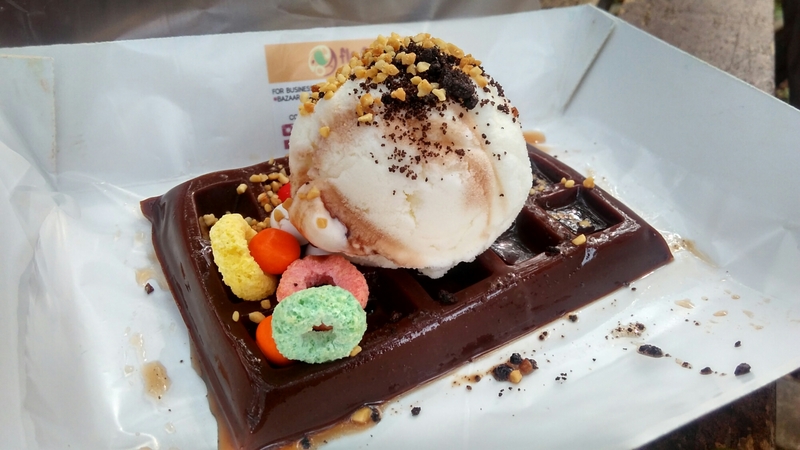 Featuring their own homemade ice cream and waffle-shaped pudding to fool us into thinking we eat carbohydrates when actually it’s simpler sugar and fat. And if you don’t want the pudding, you can also request it to be an ice cream cone. We choose the pudding! I order vanilla ice cream with chocolate pudding. The ice cream is delicious! 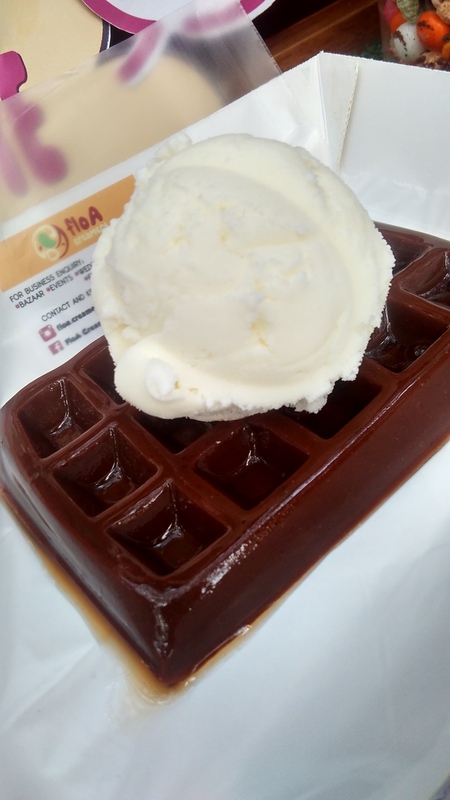 Not overly sweet and not too creamy but still pleasant to the tongue, this homemade ice cream steals my heart at the first bite. The awesomeness fade the more bite we take, but first impression last forever right? The taste come from the pudding though, the sweetness too. The pudding taste ordinary, like one of the instant pudding sold at minimarkets. But it doesn’t stop there! We can ‘decorate’ the basic products with the toppings they provided. Grounded nuts, grounded Oreo, chocolate chips, chocolate sprinkles, rainbow sprinkles, rainbow ball, fruit loops, and pink crispy ball! They also have chocolate and vanilla sauce. 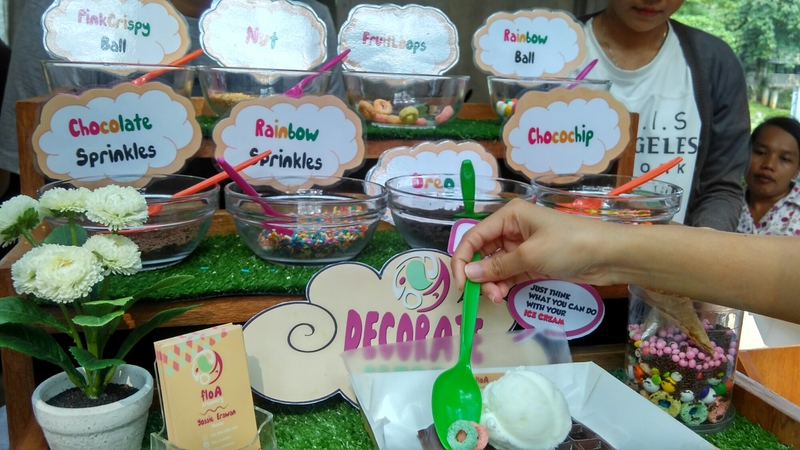 It’s all so colourful and make our ice cream looks cuter we could add more toppings than we should! I pick nuts, grounded oreo, fruit loops and chocolate sauce. Here is the final version! It’s more to the visual than taste, but having crispy toppings beside ice cream is very nice indeed. Next Next post: Should we weep to go back to our childhood?